ICAS, one of the world’s leading professional bodies, is seeking a web journalist to create, commission and co-ordinate content on its new website, and assist in managing PR relationships. 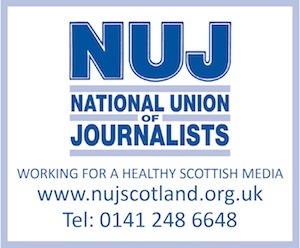 This is an exciting opportunity for a creative and multi-skilled journalist. The content will cover business and economic issues, accountancy stories, material about the organisation’s events and people, thought leadership and all other areas which are of interest to the members of ICAS. Candidates should have experience of online journalism, ideally within the business sector. You should be able to write clear, concise copy; take digital photographs and video; be able to manage web pages; and work quickly creating and posting content on a daily basis. ICAS is the professional body of CAs. It is an educator, examiner, regulator, thought leader and membership body for over 19,000 accountants. Half the members are based in Scotland. The others are based around the rest of the UK and in 100 countries around the world. The closing date for applications is midday 2 December. Interviews will be held 4 and 5 December 2013.